Do you know a fun, gay, uncle? 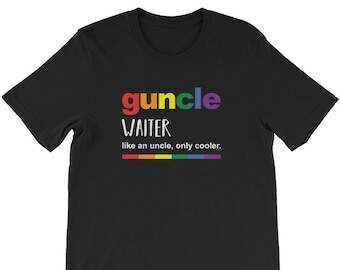 This humorous shirt is a great gift for any gay uncle. 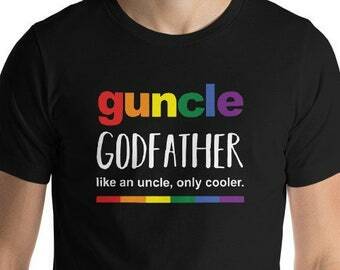 You’ve heard of funcle, a guncle is even cooler! 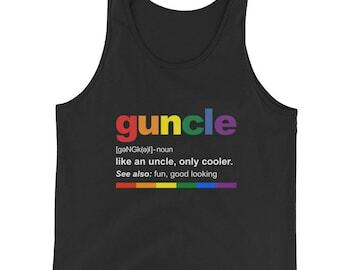 This gay uncle t-shirt is fun to wear all year round and especially at Pride celebrations. Surprise your gay uncle or brother with this fun t-shirt on his birthday, at Christmas, or anytime you want to show some love. 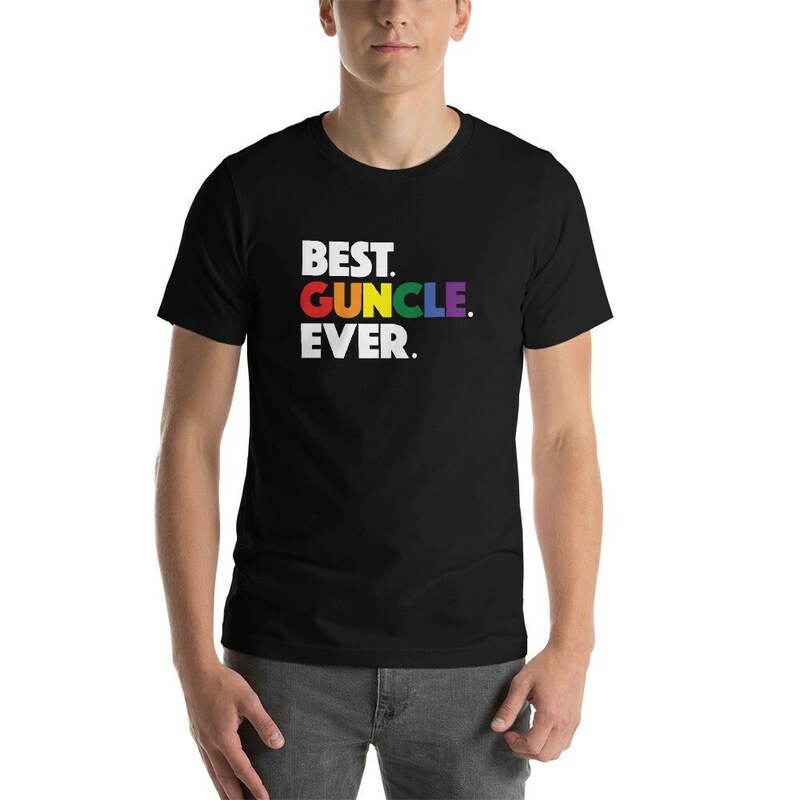 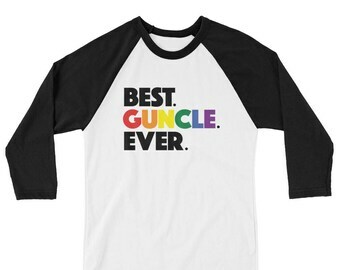 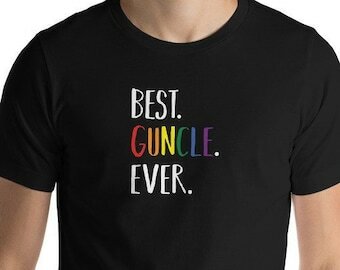 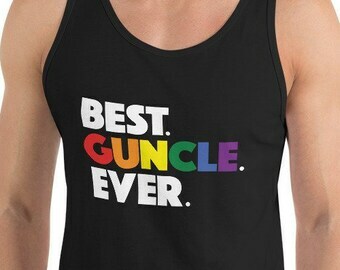 Guncles are a unique part of the LGBT family, and yours! Our Guncle loved it! 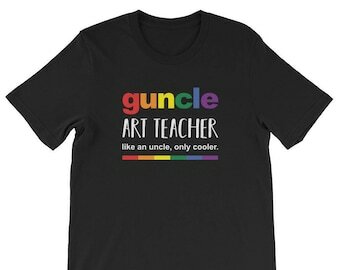 Very fun gift!